It is always nice to have recipe ingredients on hand whenever needed. If you are working on your 3-month pantry supplies, these items will round out your menus. These are recipe ingredients that you will use on a daily basis as you prepare meals from scratch. Using them regularly will keep them rotated. Buying extras when these items are on sale and rotating them through your stored supplies can save you time and money. Salad Dressings - store bought or homemade oil and vinegar-based, or mayonnaise-based dressings. Be aware of expiration dates on store bought salad dressings. Cooking Oil - There are many choices for cooking oil. I recommend coconut, olive, or some kind of nut oil, like macadamia or almond oils. Canola and other vegetable oils can be used in most recipes but they are not the most healthy and tend to smoke easier. Coconut oil is healthy, can withstand heat and stores longer without becoming rancid. Unopened cooking oils have a shelf life of about a year; coconut may last much longer. Shortening - longer shelf life than oils. It is reasonable to expect an unopened metal can of shortening to have a shelf life of eight to ten years if kept reasonably cool, particularly if it contains preservatives. Coconut oil is healthier and will last much longer. Mayonnaise - Although it isn’t necessary to sustain life, it sure tastes great in your favorite recipes. Mayonnaise has a shelf life of 2-3 months. Peanut Butter - provides protein and monounsaturated fats (the good fat). Peanut butter has a shelf life of 6-9 months. Powdered Fruit Drink - comes in many different flavors. Great to use in times of emergency in stored water if it has a funny taste from lack of oxygen. Powdered drink mixes can be stored for up to 3 years if unopened. Molasses and Corn Syrup - used as sweeteners in many recipes, store according to your families needs and likes. Molasses may be something you have never used, nor ever will use. If this is the case, don’t feel the need to store it. Flavored Gelatin - can be used in molded desserts and salads and to thicken cold soups. 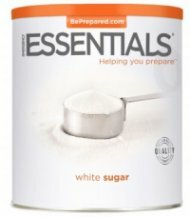 Granulated Sugar - used in many recipes so is an important food storage item. Sugar's shelf life is indefinite - it will last, well, maybe forever. It may get hard or clump but it will not go bad. Honey - another sweetener found in many food storage recipes. Honey is more expensive then sugar and usually acts as a substitute for sugar in breads. Some people feel it is healthier to use honey. It can be stored (unopened) indefinitely. It may be entirely crystallized, but can be liquefied with a little heat using a microwave or soaking in a container in hot water. Evaporated Milk - can be stored in cans, or made from nonfat dry milk. To make a 12 oz can of evaporated milk from dry milk, mix 1-1/2 cups water and 1/2 cup + 1 T. dry powdered milk and blend very well. Store bought canned milk has an expiration date so be sure to use and rotate it. Baking Soda, Salt and Baking Powder - One or more are used in most recipes and if unopened have indefinite shelf lives. 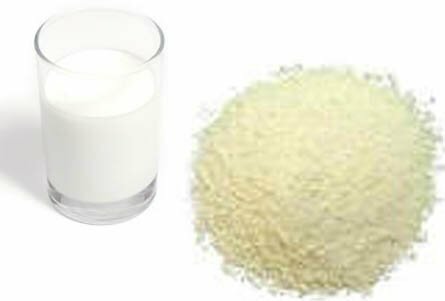 Active dry yeast - The form of yeast most commonly available to non commercial bakers, as well as the yeast of choice for situations where long travel or uncontrolled storage conditions are likely. To prolong the shelf life, it can be kept in the freezer. Instant yeast - Appears similar to active dry yeast, but has smaller granules with substantially higher percentages of live cells. It is more perishable than active dry yeast, but also does not require rehydration, and can usually be added directly to all but the driest doughs. This yeast can also be kept in the freezer to prolong its shelf life. Gravy's & Sauces - Great to have on hand are powdered brown gravy, powdered tomato sauce, chicken and beef bouillon, spaghetti and pizza sauces. I like to have these recipe ingredients on hand at all times because I never know when the "baking bug" will bite or a surprise guest will show up for dinner. While none of these food items are main ingredients, they are essential to have on hand to complete the recipes for the meals your family is accustomed to eating. And, the best part is that you will be glad you can skip a shopping trip in the middle of cooking and go shopping "in your pantry" instead. 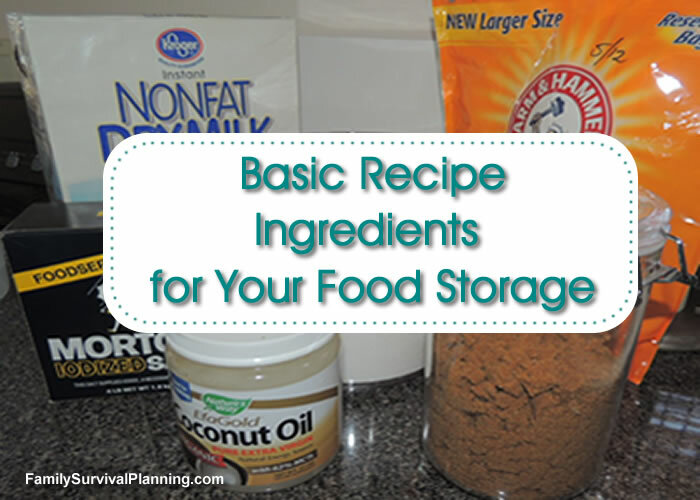 How to build your food storage on a tight budget.